Latest job openings at DreamLabs Nigeria Limited. See the requirements and procedure to apply for DreamLabs Nigeria Limited jobs online. Experience working in the ICT industry on government contracts. Proficiency in Microsoft PowerPoint and Office. You will work with our expertise & versatility to our engineering team to assist in the development of web and mobile applications. 3+ years of software development experience building, deploying, and maintaining apps. Demonstratable portfolio of web and/or mobile applications. Strong knowledge of OOP, algorithms, software development principles, agile methodologies, modern design patterns, TDD, and service-oriented architecture. You will work with our engineering team to develop high quality mobile applications. 3+ years of experience designing and building successful web applications. Demonstratable portfolio of mobile applications. Strong technical, problem-solving skills and understanding of algorithms. 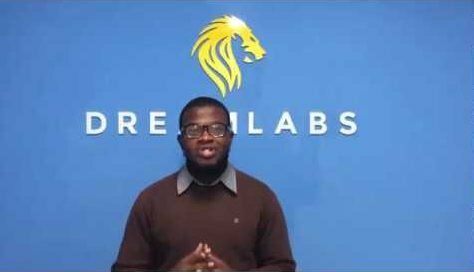 How to Apply for DreamLabs Nigeria Limited Jobs. Apply for the post of Business Development Officer at DreamLabs Nigeria Limited. Apply for the post of Full Stack Developer at DreamLabs Nigeria Limited. Apply for the post of Mobile Application Developer at DreamLabs Nigeria Limited.